We protect our customers from the unexpected and help them realize their dreams. We do this by providing insurance and financial services personalized to meet their needs. We assist with any Auto, Homeowners, Commercial, Health and Life needs. 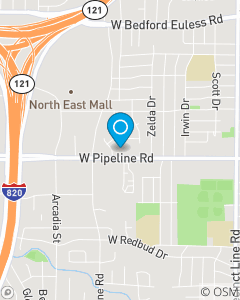 Our office is in Hurst, Texas and we use this to serve all of Texas with customers located in the Metroplex (Dallas / Fort Worth) including Bedford, Euless and surrounding areas.